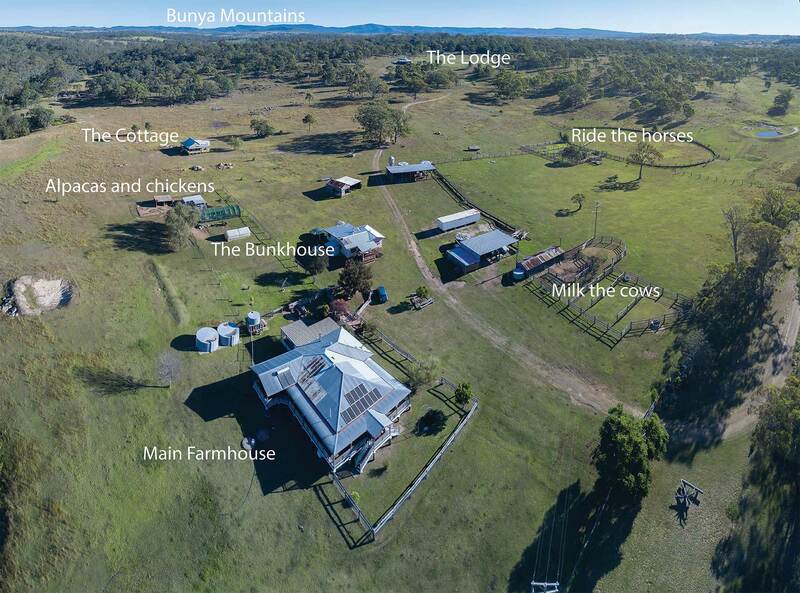 Situated at the base of the beautiful Bunya Mountains in Queensland, Australia is BunyipSprings FarmStay, a traditional century old Australian farm set on over 620 acres of farmland and native bushland. 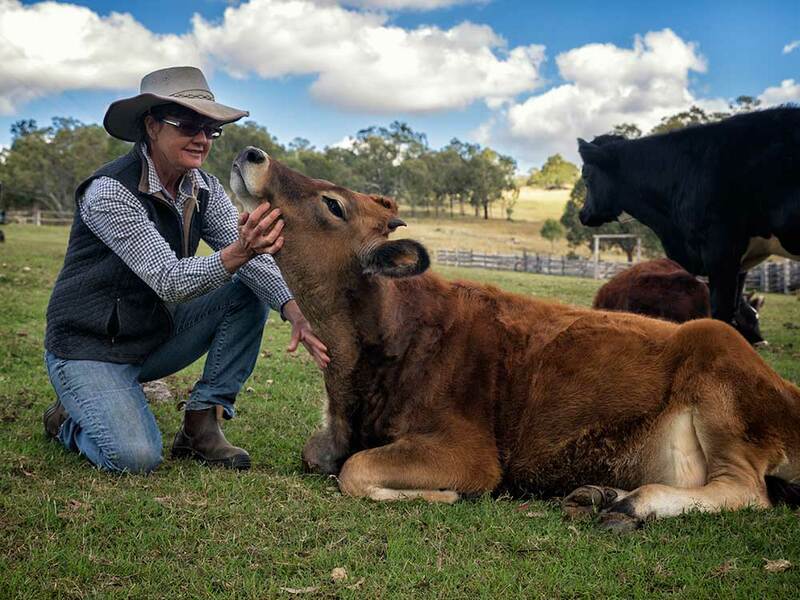 The working farm combines both dairy and beef cattle as well as an assortment of chooks, ducks and alpacas. 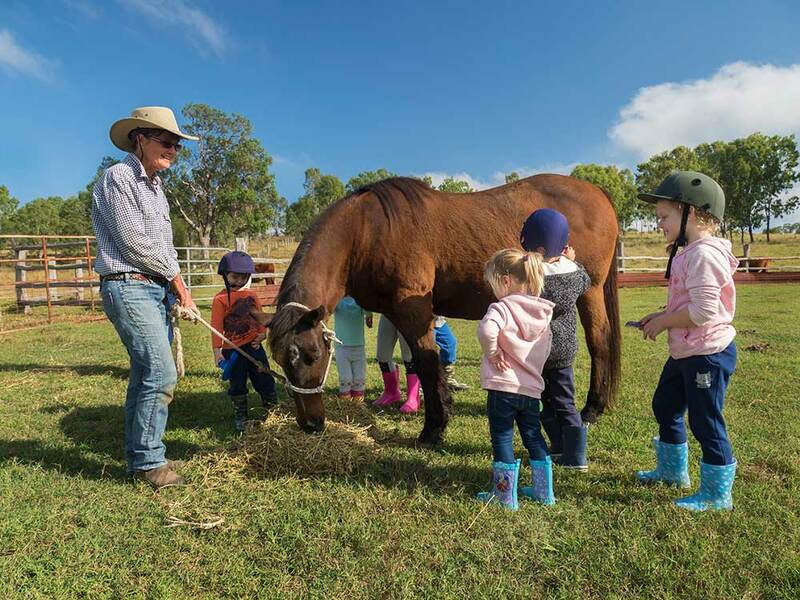 The farm is the ideal family holiday location and provides adults and kids of all ages the chance to interact with friendly farm animals with activities including milking of the cows, feeding the animals and horse riding. 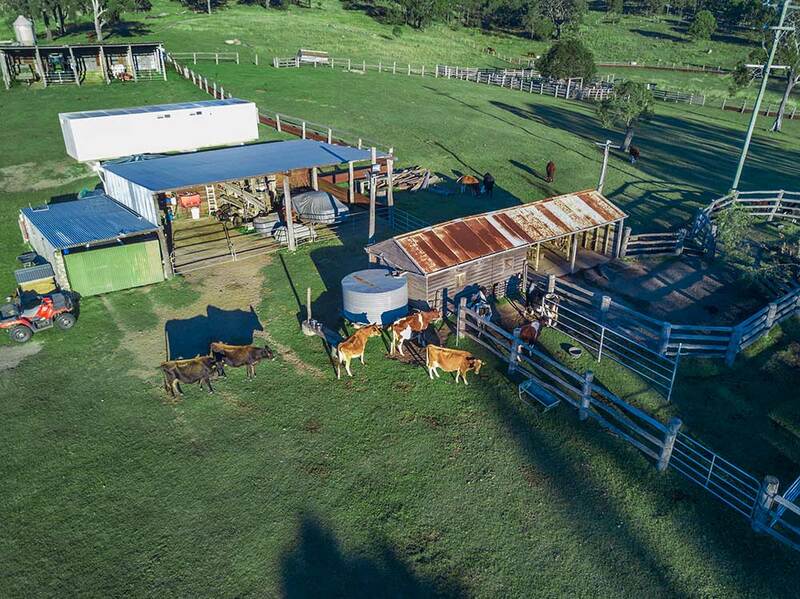 The farmstay owners were keen to utilise drone technology to promote the farm and attract more interstate and overseas visitors into the area. DroneAce was asked to create a high definition promotional video to include aerial drone footage and ground based video. The brief also included photographing the accommodation and farm animals. 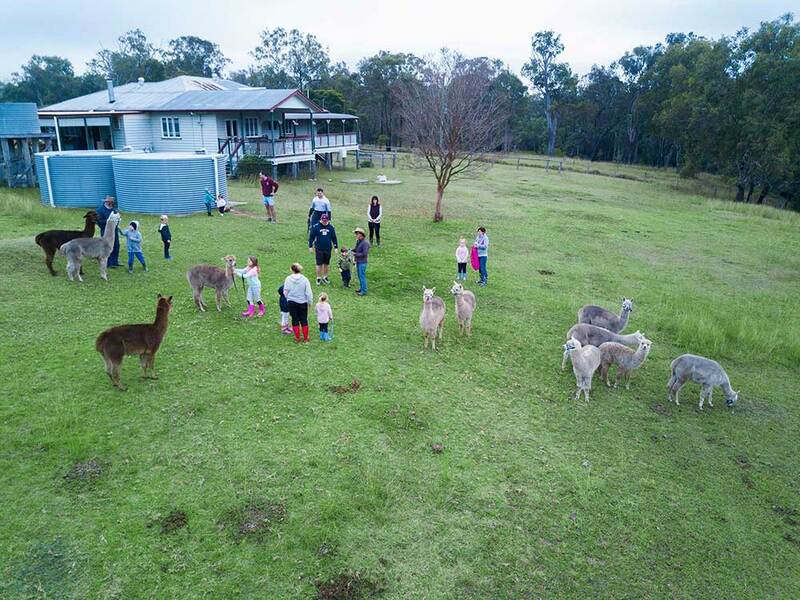 The video aspect included showcasing the overall farm as well as highlighting specific activities on the farm including milking the cows, feeding the chickens and guests walking with the alpacas. Key locations featured on the property such as a small grove of 100 years old fig trees and a large stone monolith called Noah’s Ark were also captured. The MavicPro drone was used to take the high definition video and high resolution aerial photographs due to its small size and low noise output allowing for relatively close maneuvering up to the animals without disturbing them. 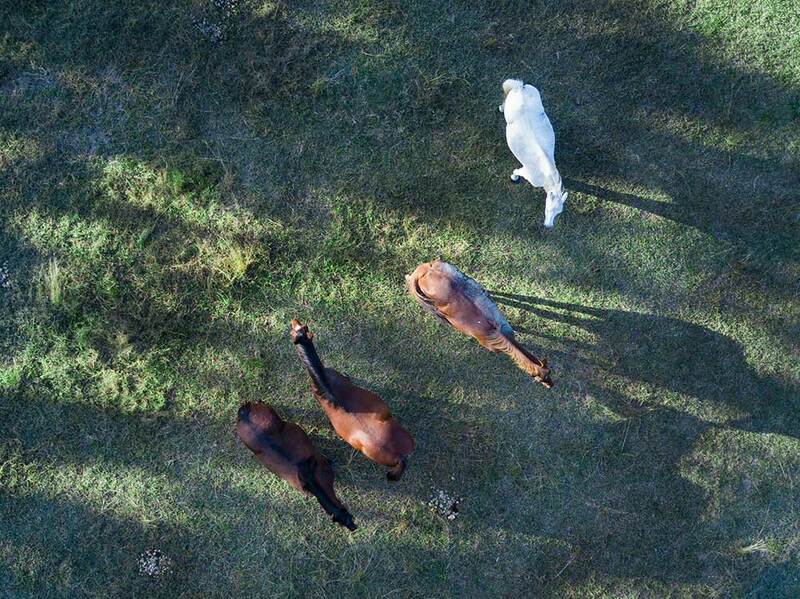 While the alpacas couldn’t care less about the drone and allowed us to fly right over them, the horses tended to get spooked so we kept our distance doing well distanced orbits around them instead. One of the tasks for the drone included the generation of a large panorama photograph to help identify the main elements on the farm. To accomplish this we took a series of aerial images at 79 metres above the ground and created a panorama using Autopano Giga. We also took a range of aerial drone panoramas to be used for print and online marketing and branding. Flying a drone on a farm is the same as flying a drone in a city. Situational awareness should be maintained at all times, with constant monitoring of hand controller telemetry to check the amount of flight time remaining as well as keeping an eye out on what is happening on the ground. Most of the animals were not disturbed by the drone, however on the first morning of filming, a flock of Corellas were disturbed and proceeded to “swarm” the drone. Both video and still photographs were captured around the farm to include the accommodation, farm activities and farm animals. Most of the filming was done during the “Golden Hour”, ie early in the morning and late in the afternoon that coincided well with the feeding of the farm animals. The drone was also used to introduce and place the accommodation available on the property using high definition video made up of low pass orbits and flyovers. A further benefit of the drone was high resolution photographs were taken from angles not possible using conventional photography due to the slope of the terrain. The main video is still in post production, the short video below highlighting certain aspects of the farm. If you have a tourism based business in Queensland and need to promote it using aerial drone photography and video then get in touch or call us directly on 0404 840 001 to see how we can help you. We cover the Gold Coast, Northern New South Wales, Lockyer Valley, and up past the Sunshine Coast regions of South East Queensland.